From our Managing Director to our apprentices, charity is important to everyone at FirstFound. Whether we are baking up a storm, taking on a charity run or cycling from London to Brussels, we’re always up for a challenge if it’s for a good cause. Over the years we have raised thousands of pounds for a range of charities and we’re always on the lookout for new ways that we can raise money and help people. So if you’d like us to help support your charity please get in touch and we’ll see what we can do. 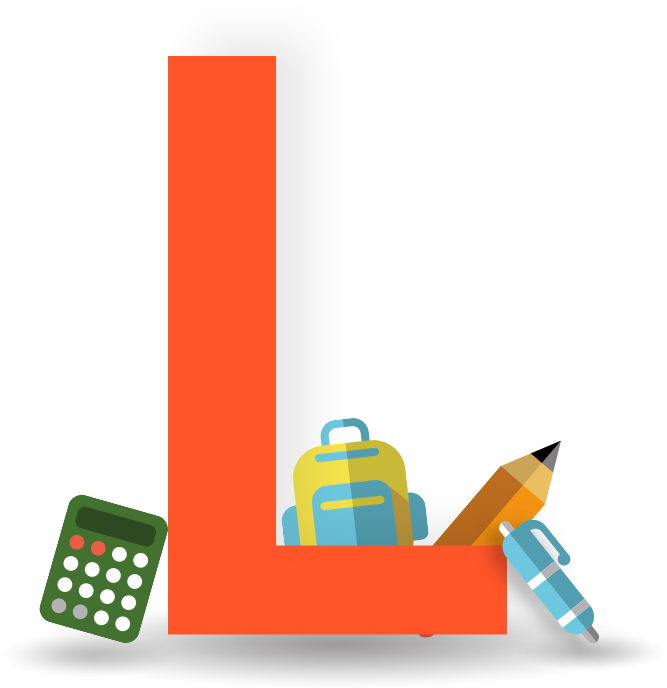 Lancasterian is a school catering for children with a range of disabilities who struggle to make themselves heard and understood. The school’s fundraising activities first came to our attention in 2008 when Chris, our Managing Director, read an article about the school’s attempt to secure specialist centre for communication status. Since then we have been a proud supporter of the school and have been raising funds to help support them. After our early fundraising events and as a result of our charitable donations, our managing director Chris Bellamy was offered and accepted a position as one of Lancasterian’s community governors. As well as fundraising our web design team also provided the school with a brand new website, to help the staff at Lancasterian School attract more attention for their very worthy cause. Following the attack at the Manchester Arena that left 22 people dead and more than 100 people injured, we wanted a way to help raise money and show our support for the city that we all love. With the launch of the Manchester Emergency Fund in partnership with the British Red Cross we knew this was the charity that we wanted to support. 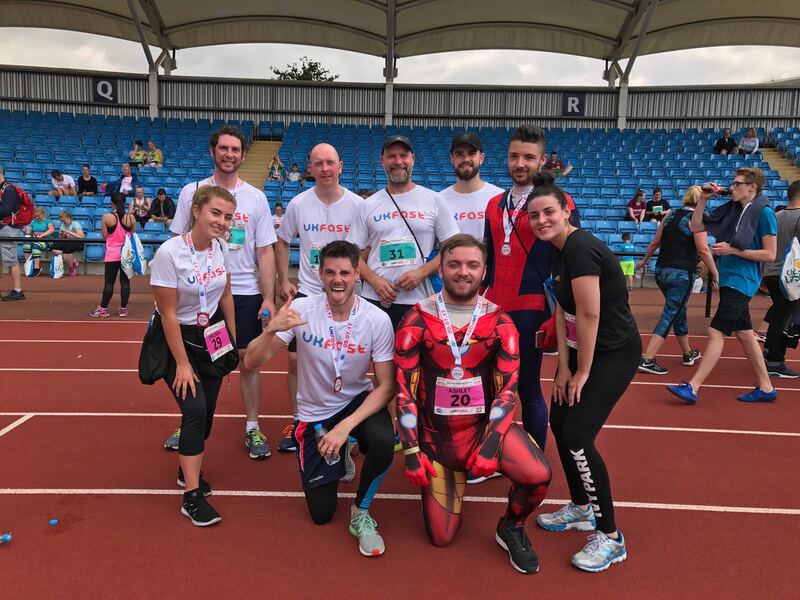 Having taken part in the UKFast We Love Manchester 10K the previous year we decided once again that this would be the best event for us to choose. The response from our staff was fantastic with twice as many employees signing up to take part compared to the year before. 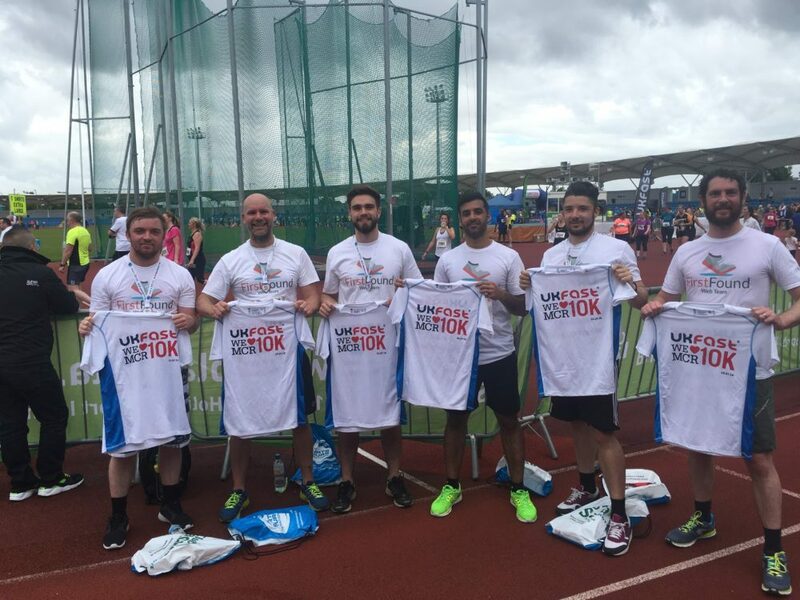 On the 9th of July 2017, all 9 of our runners took to the start line at Manchester Regional Arena determined to enjoy the event and raise as much money as possible. One hour and 13 minutes later and all of the team had made it across the line with smiles on their faces having raised £1514 for the Manchester Emergency Fund. Ever keen to lead by example and take on a new challenge for charity, our Managing Director, Chris decided to take on a gruelling 322 mile bike ride from Edinburgh to Dublin over 4 days. Chris is no stranger to long distance bike rides having previously taken part in the London to Brussels bike ride last year and London to Paris the year before. This year Chris wanted to raise money for When You Wish Upon A Star, a charity that grants the wishes of children who are living with life threatening illnesses. Over the years Chris has witnessed first-hand the inspirational personal stories of countless children whose wishes have been granted and he wanted to do all he could to support this wonderful charity. As always Chris’s busy lifestyle meant that his training plan was completely ignored, that didn’t stop him though. 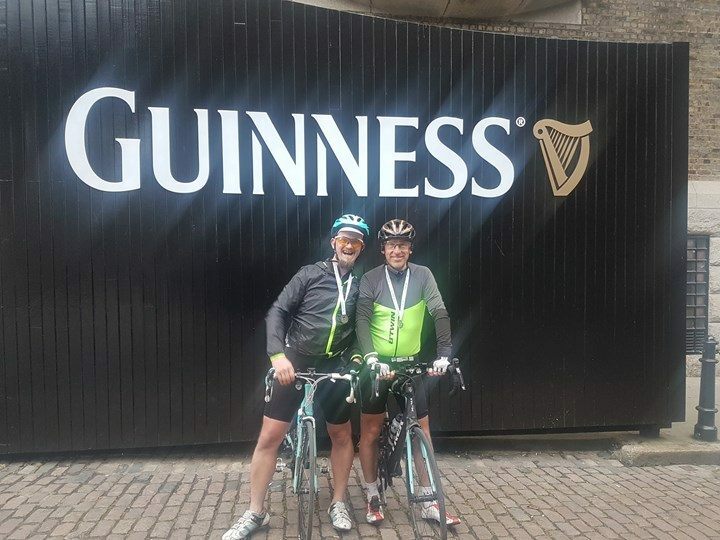 After four days in the saddle, 322 miles covered, 18,044 calories burned and over 13,000ft of elevation gain, Chris was elated to arrive at the Guinness factory in Dublin. Chris and Clive smashed their fundraising target of £1000 raising a total of £1422.71 in aid of When You Wish Upon A Star. In June 2016 our web design team manager, Chris Stott, spotted a 10K run in Manchester on the 10th of July. The team jumped at the chance to take part in a run and quickly decided that The Mustard Tree was the charity that we wanted to support. With most of the team never having run further than to the local pub it was a daunting challenge. The Mustard Tree helps to combat poverty and prevent homelessness in Manchester. Since 1994, Mustard Tree has transformed the lives of people in Greater Manchester who are trapped in poverty or homelessness, by enabling them to gain the skills and self-confidence they need to reach their full potential. After just 6 weeks of preparation the entire web design team lined up at Manchester Regional Arena for the start of the 10K. One hour and 6 minutes later all of the team had made it across the finish line and managed to raise £1122 for this wonderful charity.